Protein skimmers are pretty much vast in style and types. So it is best to know that there are different types of skimmers made to fit different types of aquarium. Some protein skimmers are made to be set up in an external environment while some are to be set up in an internal environment. To set up a protein skimmer is pretty much straightforward. The purpose of this article is to give you insights that will help you quickly set up your protein skimmers without having any form of glitch. If you religiously follow the instructions in this article, you will have no problem setting up your protein skimmer, and you will only have a smile on your face when you are done. There are different skimmers with different installation packages so before going into how to set up the protein skimmers, four basic types of Protein Skimmers will be discussed. Be informed that some of these protein skimmers are able to run in more than a single application, that is, some protein skimmers are able to work as in-sump skimmers or hang on skimmers. The name for this type of skimmer says it all, which means the protein skimmer hangs firmly on the aquarium system back. 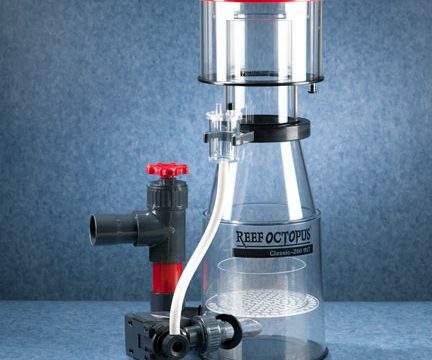 This type of protein skimmers is useful for the kind of aquarium that does not run a sump. The protein skimmer hangs like a power water filter, and it is made to work for the smaller aquarium system. This one skimmer that does not eat up your space and it fits right into the aquarium system. Despite how small they appear they are very effective in the removal of dirt and organic waste from the aquarium. This is made for the Nano aquarium system. This type of protein skimmer is engineered to find a place right in between the aquarium sump system. These type of skimmers are the ones with the highest supply of different types and styles. This particular one is operated externally with the sump box of your tank as the name implies. The incoming water from the sump goes directly into this external protein skimmer, and in return, the skimmer pumps out properly clean water back into the sump. Having known the four basic types of protein skimmers, you should also know that there are vast types and styles in the market. This guideline will be centered on the four basic protein skimmers. You should consider choosing a protein skimmer that is made with a higher capacity than that of your tank. If you own a hundred-gallon tank, then you should be thinking of a 150-gallon capacity skimmer. You need to inspect the protein skimmer before you start installation meticulously. Be sure that all parts are included for the set up of the skimmer. This is so because once you begin to dismantle your tank and you find out that the parts of the skimmer are not complete, it could be wasted time and effort on your part. You are to place the sump box just below the aquarium, do this if your filter system is not built with a sump box. The next is to attach the output and intake hose from the aquarium system to the sump box pump. Be sure that the sump box is pumping water the way it should from the tank to the sump box. Understand the level at which your skimmer can work properly, this should be based on the suggestions made by the manufacturer. The aquarium system sump box regardless of where it is placed should be able to house the required water depth that is needed for the protein skimmer. The protein skimmer can now be placed inside of the sump box below the aquarium system, then you should let it get filled with water. Next is to plug the skimmer into an electric output. Switch the product on to watch how it starts off. After doing this, you should have for yourself a properly functioning system. The engine should be producing foam just at the midpoint of the protein skimmer body. This is an indication that you have properly set up your protein skimmer. Allow your now functioning skimmer to work for a period of 3 to 4 days so it can get over the break-in session. This is required so you will have a properly functioning protein skimmer and also reduce the noise the skimmer produces. It is important that you should always check the protein skimmer at intervals for the first two day period to be sure that the foam its producing is not past the level recommended by the manufacturer. Should there be a time that the skimmer begins to produce more foam than required into the collection container, you are advised to shut the skimmer to allow the foam recede. You should continue to adjust the product until you get the required mode of operation. Having gone through the above-listed guidelines, you should now have for your tank a properly functioning skimmer. Seeing the foaming from the body of the protein skimmer will give you the assurance that the skimmer is working fine. You should pay attention to your new device for the first few hours of operation to note the way it works and if there’s an anomaly. It may be vital that you manage the water levels by either increasing or decreasing the water. The air levels also should follow the same process in the skimmer for appropriate operation of the protein skimmers.